On the last Friday of each month and selected Sundays during summer, Cittaslow Goolwa presents a very splendid event called 'At The Wharf'. Perhaps you haven't yet heard about Cittaslow? It's a global movement that promotes a sense of community and a philosophy of enjoyment. 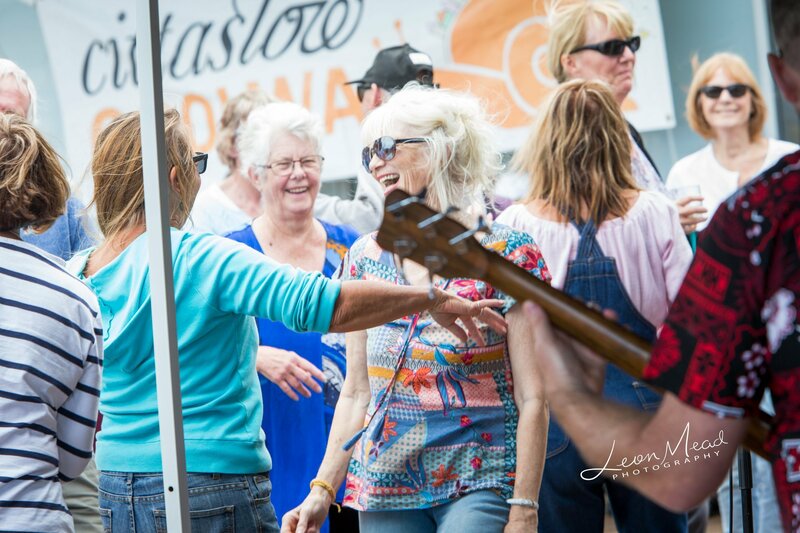 The Cittaslow movement began in Italy in 1986 where people were encouraged to identify and use local food and produce and allow time to enjoy eating with family and friends. It's all about taking time out to think about what we should be doing and how we should be doing it. Over 50 countries have now embraced the philosophy. And the little town of Goolwa became Australia's first Cittaslow in 2007. 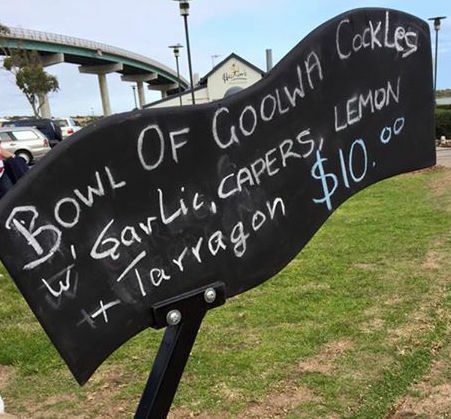 Cockle Train At the Wharf. Photo courtesy Leon Meade. 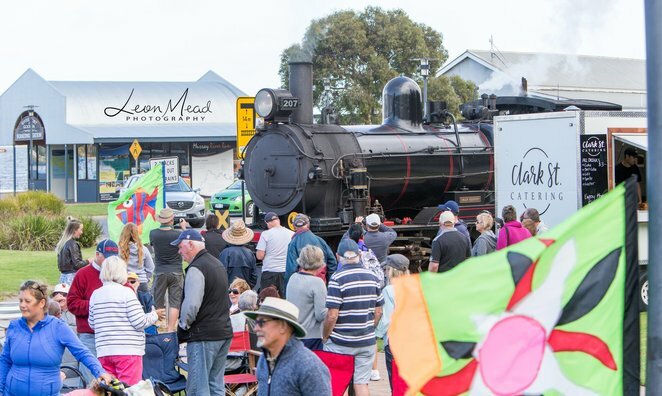 Local, seasonal food is always the main focus at a Cittaslow Goolwa event and, being so close to a number of wine regions, residents and visitors have the ideal opportunity to enjoy local wines as well. Throw some local music into the mix and you have a great event. 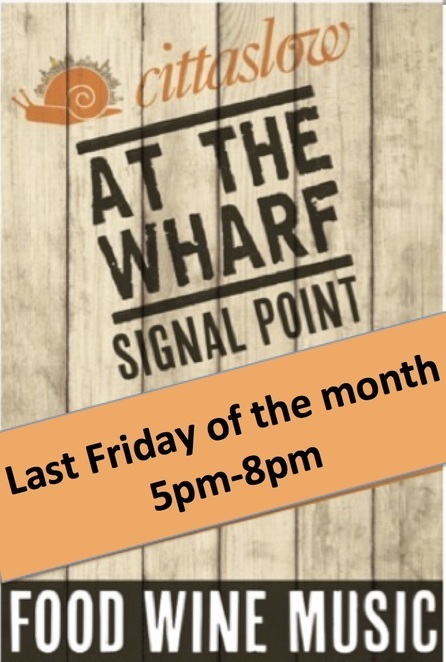 At The Wharf events kick off on Sunday 30 September from 2pm-5pm then on Friday October 26, November 30, December 28, January 25 and February 22 from 5pm- 8pm. 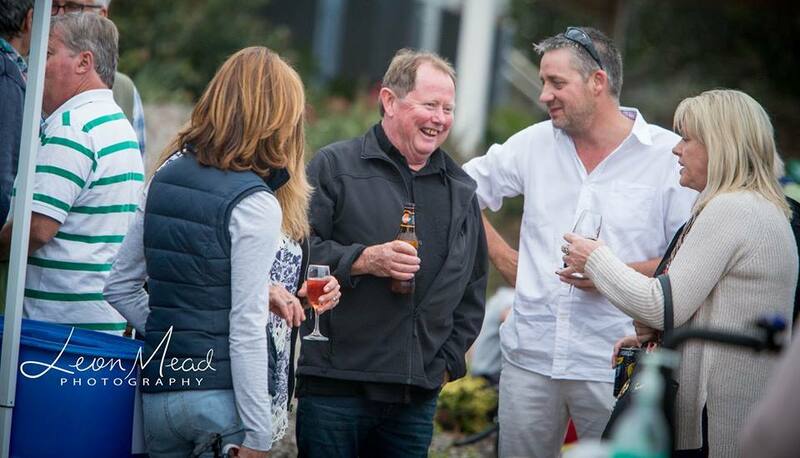 Locals and visitors will gather, to enjoy local food, wine and music in the company of good friends. Wine fun. Photo courtesy Leon Meade. Wine, from Langhorne Creek and Shaw Family wineries, will be available by the bottle or the glass and beer and soft drinks will also be offered. 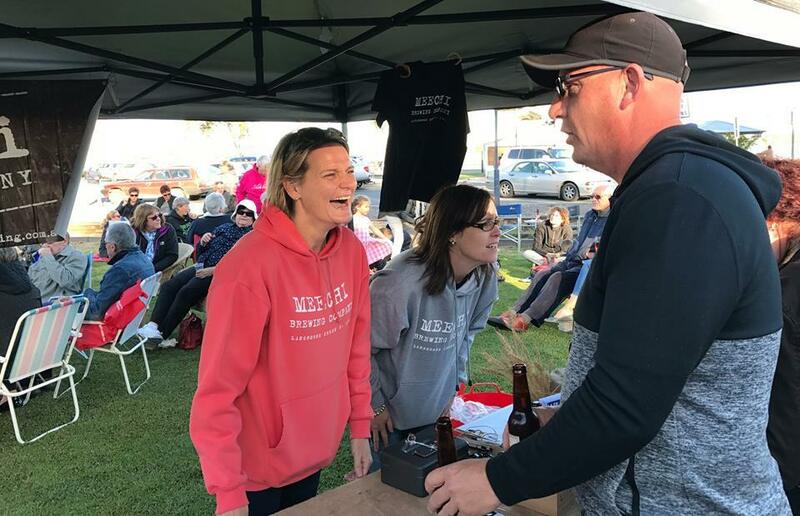 Beer tent At the Wharf. Various local food vendors will offer tasty morsels at reasonable prices. 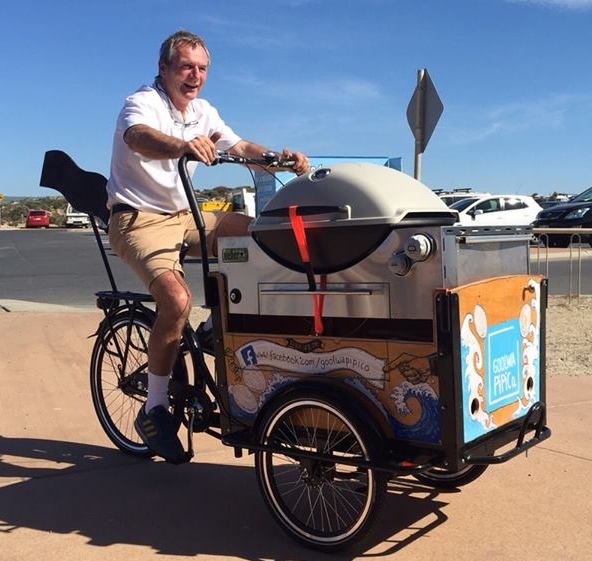 You can look forward to delicious Coorong Mullet Burgers from The Hungry Caterpillar, Gourmet Sausages, Clarke Street Catering delights and Olaf Hansen's famous Goolwa Pipis (cockles). Olaf's cockle-cooking technique involves a bicycle which may seem strange but, believe me, the resulting flavours are divine. Live bands will play dance music on the deck from 5pm. 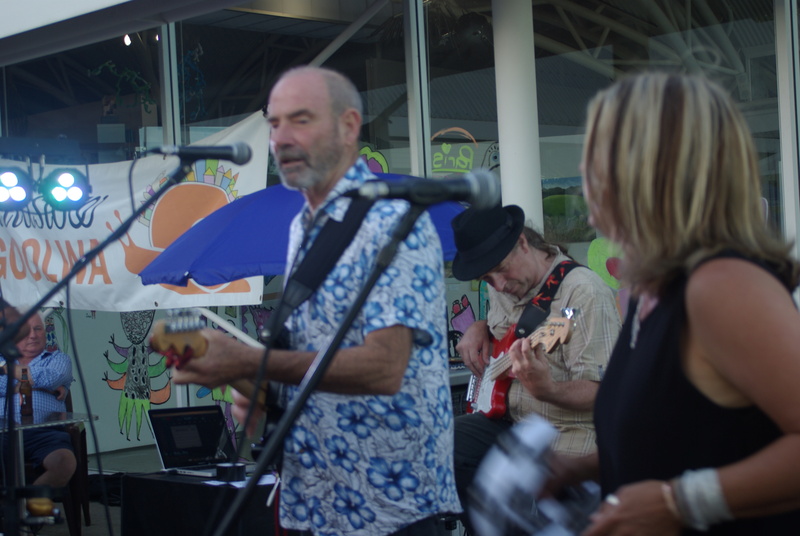 It's a free event so come along with a deckchair and your dancing shoes. No BYO alcohol please but bring a picnic if you like.